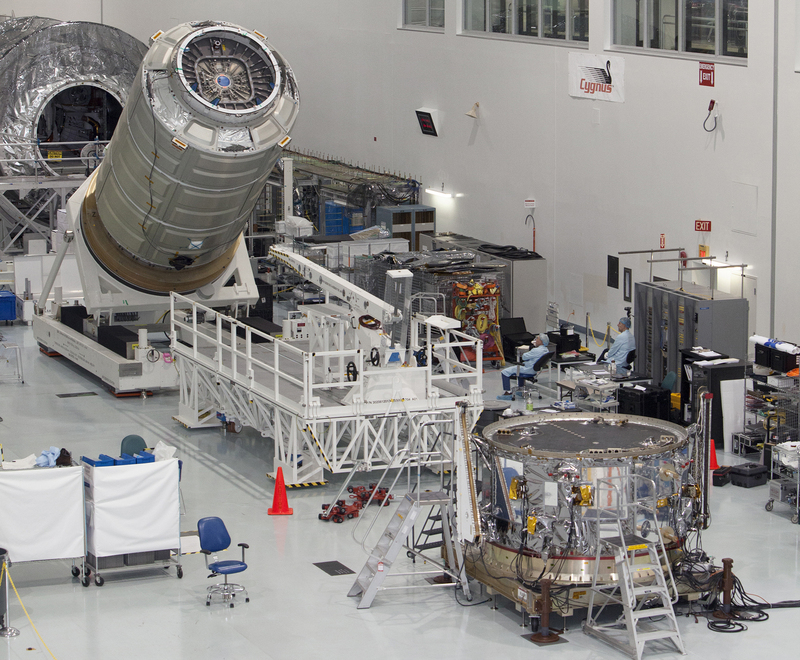 The next cargo module slated to deliver supplies to the International Space Station crew is loaded and is being connected to its propulsion and service module today at Kennedy. 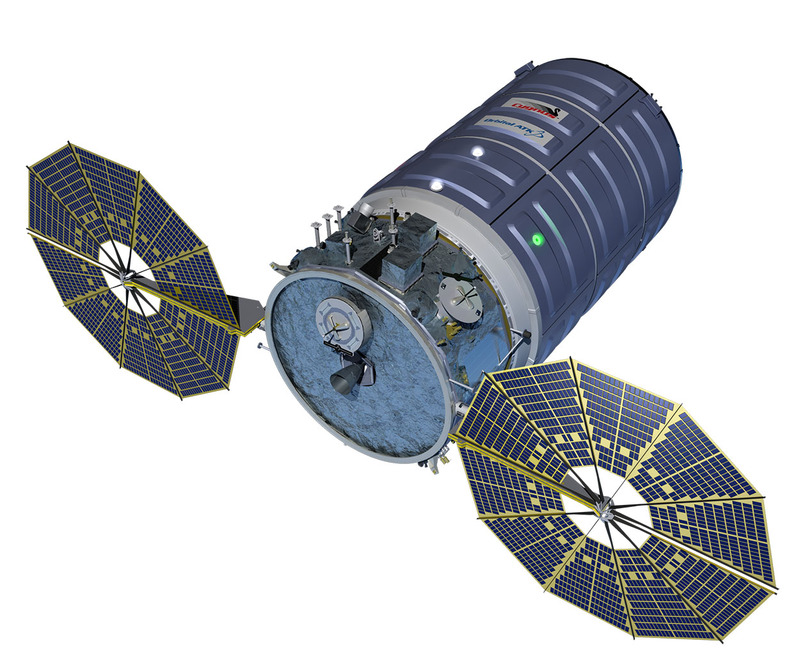 Called Cygnus and built by Orbital ATK, the module is a two-piece spacecraft that when finished will be launched Dec. 3 atop a United Launch Alliance Atlas V to take a host of scientific gear, supplies and other equipment needed aboard the orbiting laboratory. Engineers and technicians spent the last several days packing the pressurized portion of the spacecraft before rotating the cylindrical module upright so it can be lifted to join the service module. The service module holds the solar arrays and propulsion unit plus other instrumentation that will allow the Cygnus to fly to the station safely without a crew onboard. Ground controllers and astronauts will use the robotic arm on the station to grab the Cygnus and berth it to a port where its supplies can be unloaded and put to their prescribed uses. After about three weeks in space, Cygnus will be released and will fly itself into Earth’s atmosphere to burn up.